A healthy and delicious treat to spoil the ones you love. Allow strawberries to sit at room temperature for 15-20 minutes. Place strawberries and yogurt in a food processor and blend until smooth. 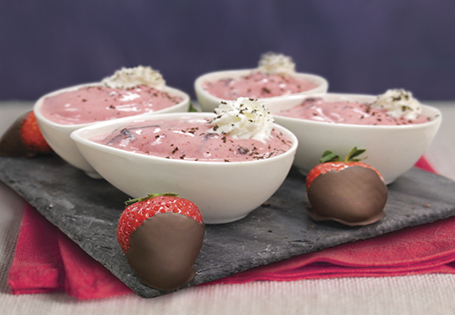 Fold chocolate into strawberry yogurt and serve immediately. TIP: For a firmer consistency, place mixture in the freezer for 30 minutes.